Considering he’s just a TV character, some of the crustiest punks I know have had surprisingly strong feelings about Reuben Kincaid. It boils down to family issues and the search for a suitable male role model. Needless to say, these punk rock people define themselves at least somewhat as musicians, not that they’ve ever made more than $500 in a given year from playing in a band. Their kind of musicianship is a tribal identity, a political preference, a bowling league. And they all loved Reuben. Anyone with an unhappy childhood who went on to join a band might be doing so in part for approval from a surrogate father figure like Reuben Kincaid. Reuben Kincaid. TV’s non-father figure. The Wandering Agent. Roaming from town to town, looking for the next single-parent family to make into the next big thing. It could be anybody. It could be you. You just have to have faith that Reuben is out there somewhere. One other question iingers: Is Reuben Kincaid Jewish or not? Even though he has the most Hebraic-sounding first name on television and happens to be a show-biz agent, it would appear not. Something about that full head of blond hair and gentile surname tilts it the other way. In either case, Reuben is quite clearly The Other. A confirmed bachelor in a world of TV dads. The Un-father. Think of those TV dads for a minute. Every last one of them had dark hair, from Ward Cleaver to Mike Brady to Steven Keaton. The only other towhead on the circuit besides Reuben is Uncle Bill, a penthouse-dwelling bachelor who reluctantly took in the kids to save them from the orphanage. By the laws of television, neither man could ever be a real father. You need to call in someone like Chad Everett for that role. 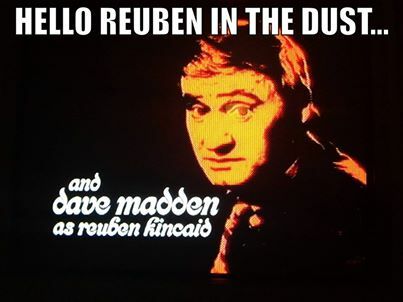 From what I can tell, Dave Madden was always aware of the lasting role he played in pop culture. Unlike the aforementioned TV dads, he started out as a standup comedian on one of the smaller club circuits. He really did understand the ins and outs of showbiz and life on the road, traits that Reuben Kincaid needed to possess. 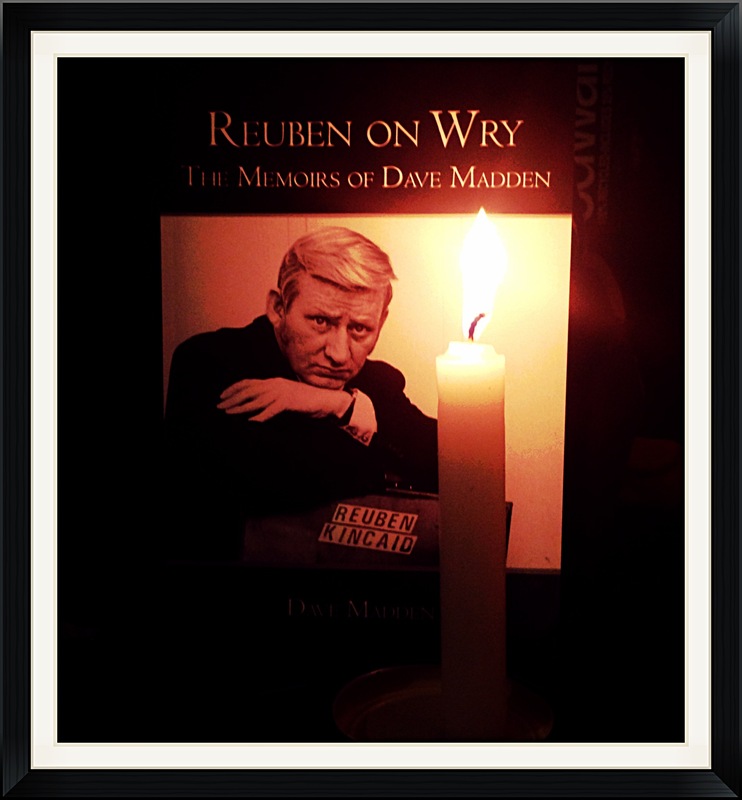 I would very much like to have met Dave Madden. He seemed like a personable guy, generous and unpretentious about himself and his role in pop culture. Fortunately, he did leave us with a fine memoir. And of course, there is the role of Reuben Kincaid itself, which Madden imbued with so much of his own personality, and which will live on forever in the eternity of television. ← THE PROFESSOR OR MR. HOWELL?